Let everyone know about your QAPI plan—often and in multiple ways. Plan ongoing caregiver education beyond single exposures—the goal is widespread awareness of QAPI initiatives. Train through dialogue, examples, and exercises. Transform the material in this guide into smaller pieces and easily understood ideas. Use your home’s own experiences with certain caregivers or residents as part of the learning materials. Convey the message that QAPI is about systems of care, management practices, and business practices—systems should support quality and/or acceptable business practices, or they must change. Use examples to get the message across, and ask caregivers to think of examples of their own. 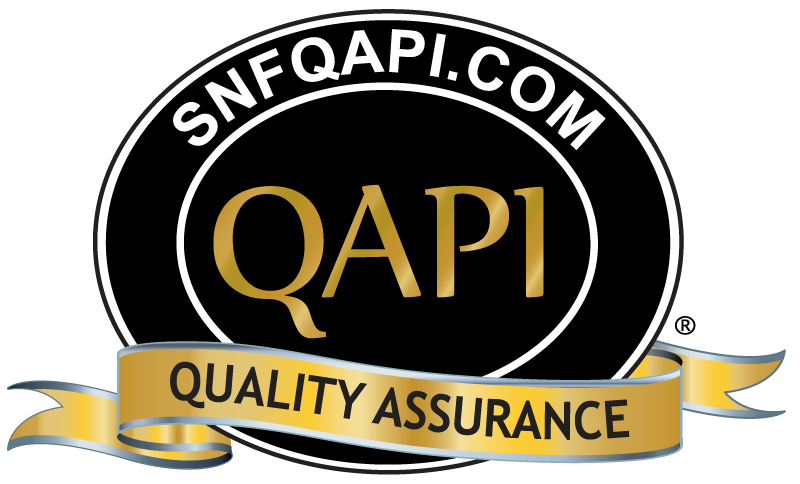 Be sure consultants, contractors, and collaborating agencies are also aware of your QAPI approach. Maybe you have several hospice organizations coming in and out of your home. You may work with a podiatrist who visits regularly. They each have a role in your system. Convey the message that any and every caregiver is expected to raise quality concerns, that it is safe to do so, and that everyone is encouraged to think about systems. Discuss the hard questions—what is meant by a culture of safety here in our nursing home? How does the nursing home try to balance issues of safety and resident choice/autonomy? These types of questions often do not have easy answers but QAPI opens up these types of issues for discussion and deeper thinking. Try this: An exercise where groups that cross disciplines and roles brainstorm the various ways their work influences the work of others. For example, activities personnel may find that their events are cut short because no one is available to help residents to and from activity areas. Also seek examples where resident choice did not prevail. For instance, evening caregivers may say residents cannot be up and out of their rooms after 9:30 pm because no one will be able to help them to bed after 10:00 pm. Brainstorm how to solve problems like these, even if jobs and routines would change. If systems don’t exist, they may need to be developed. If systems impede quality, they must be changed. Make sure all residents and families know that their views are sought, valued, and considered in facility decision-making and process improvements by announcing and discussing QAPI in resident and family councils and other venues. Ask residents and family members to tell you about their quality concerns. Many facilities today are using some type of customer-satisfaction survey—results should be used to identify opportunities for improvement that will proactively have an impact on all residents and their families. Try to view concerns through residents’ eyes. For example, getting back to a resident in 10 minutes may seem responsive, but may feel like an eternity to the resident. How would that feel to a resident waiting an answer to a call light or for help to the bathroom? Consider including QAPI information in routine communications to families. Family and resident complaints are often underused, and yet they are a valuable way of identifying more general problems.